You’ve probably heard of white hat methods in the world of SEO, maybe even black hat methods. Have you ever heard of grey hat methods? Before I even try to explain what a grey hat method is, let me explain to you what a white hat method and a black hat method is. A white hat method is a method that you use to optimize your site for the search engines. White hat methods are the best methods around. Why? Because they are the most legitimate methods around and you are guaranteed to NOT get banned by any search engines if you stick to them. A black hat method is the polar opposite of a white hat method. If caught using these methods, you can and will be banned from the search engines and whatever other sites or programs you’re trying to fool. With the explanations above, using your common sense, I’m sure you know what a grey hat method is. No? Well I was going to explain it anyway. 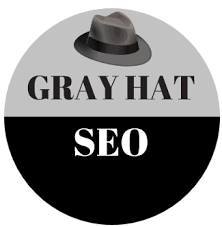 A grey hat method is a cross between a white hat method and a black hat method. If you’re careful enough, you won’t get caught or banned but there is always a risk. Grey hat methods are usually not too frowned upon. There is little risk because all you’re really doing is giving white hat methods little tweaks. If you’re running AdSense on your website, I recommend just sticking to white hat methods. Using black hat methods, or even grey hat methods, will not only get your site banned from the search engines, you could also lose your AdSense account. I know you probably think that it doesn’t really matter, there are other programs just like AdSense out there, but you’re wrong. Those other sites don’t offer you revenue potential as big as AdSense does. Use these types of methods with caution. as a seo beginner i appreciate your post very much, thanks!